Fight For Dawn is available on Amazon Kindle. A new drug, eblEEd, is introduced to the world, and Shigeru Ochi finds himself crushed under its impact. Ochi is a veteran police officer in a Tokyo suburb that has become the drug’s main distribution channel. His effective eblEEd raids cause dealers to target him, personally. Meanwhile, on the other side of the world Marlon Jackson retires from the NYPD to be a hit-man for the Vaina mob family. The family sets him on the impossible mission of wrestling control of eblEEd distribution. 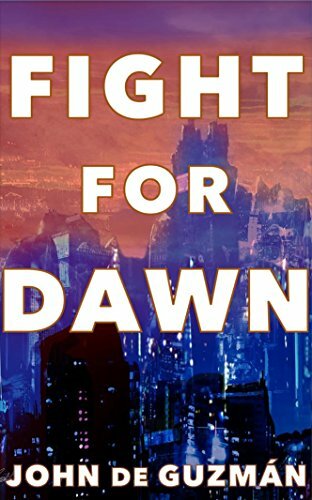 Fight for Dawn is a science fiction adventure built on action and human drama. While Shigeru Ochi fights to protect his family, Marlon Jackson struggles to appease his employers and return to his wife who becomes increasingly frustrated by his absence. The story travels the globe, from gritty New York City to dark London, historic Florence, quaint Tokyo suburbs and cramped space stations. The action is furious, and eblEEd’s power is immense. Fight for Dawn is available on Kindle Unlimited and Kindle Owners' Lending Library.